In the 1790s, Knoxville attracted French noblemen and other travelers seeking the thrills of the wild frontier. But for most of he 1800s, Knoxville was mostly a practical place, and not much of a tourist destination. It had lots of factories and warehouses but no museums and hardly any parks. Although privately owned, Lyons View offered an especially picturesque vista, attractive to painters and poets. In the last 19th century, Knoxville began marketing its historic sites to interest visitors. The homes of Parson W.G. Brownlow and charismatic politician Robert Taylor, the graves of Taylor and John Sevier, the Indian Mound near UT’s campus, and the old tavern building at State Street and Cumberland Avenue, heralded as the “First Capitol of Tennessee,” were mentioned as tourist attractions. The earthen ruin of Fort Sanders itself was a popular destination, advertised until the early 1920s, when it finally disappeared. Most of Knoxville’s advertised historic sites of a century ago have since been torn down. For recreation, by the 1890s, Chilhowee Park offered swimming, boating, rides, baseball, and sometimes a sport known as water baseball, in which successful batters would swim from base to base. From 1910 to 1913, Chilhowee Park hosted three major expositions, which drew more than a million curiosity seekers from across the country. The development of the Smokies coincided with the popularity of two new national paved tourists routes, the Dixie and Lee Highways, which combined in Knox County, from downtown Knoxville to what’s now Farragut. Each summer, southbound tourists from the Upper Midwest and also from the East Coast would drive through Knoxville to get to destinations on the Gulf Coast. 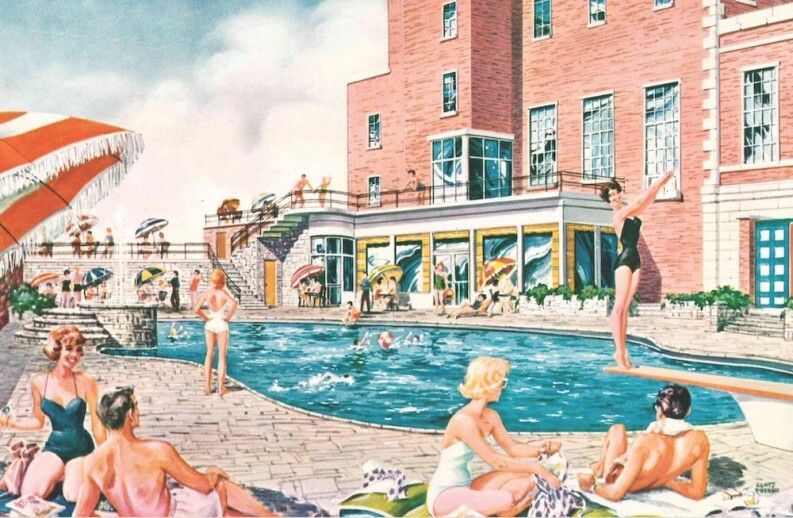 Especially along Kingston Pike, many tourist camps and motels sprouted to meet the demand, along with numerous restaurants often both hamburgers and “Southern” cuisine to Northern tourists who expected it. For many tourists, Knoxville was a convenient halfway point between home and a beach vacation. The Dixie-Lee Highway, as it was sometimes known, got less traffic in the 1960s, when Interstates 40 and 75 were completed. Faster interstate travel made overnight stops less necessary, and new national motel and fast-food chains on highway exits picked up the business. Meanwhile, new hotels were built nearer the Smokies, especially in Sevier County, leaving Knoxville with fewer Smokies tourists. Dozens of Knoxville’s roadside motels closed. Even the Andrew Johnson closed, after almost 50 years, and became an office building. The energy-themed 1982 World’s Fair was the single biggest tourist event in Knoxville history, drawing 11 million visitors over its six-month span, and generated the construction of three new downtown hotels. Today, with multiple festivals and attractions like the Market Square Farmers Market, the Museum of East Tennessee History, the Knoxville Museum of Art, WDVX’s Blue Plate Special, the renovated Tennessee Theatre, and the Old City, all in an appealingly renovated historic downtown—as well other destinations like the Knoxville Zoo and Ijams Nature Center—Knoxville itself has become a tourist destination of its own, more than it ever was before. National sources regularly recommend trips to Knoxville. Last week, New York Times writer Seth Kugel called Knoxville “the perfect place to spend 18 hours.” Visit Knoxville’s president, Kim Bumpas, says Knoxville’s combination of attractions, its history, music, and outdoor recreation, is extraordinarily unusual, and is driving the boom. 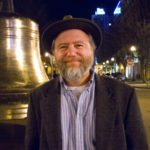 Jack Neely is the director of the Knoxville History Project, a nonprofit devoted to exploring, disseminating, and celebrating Knoxville's cultural heritage. He’s also one of the most popular and influential writers in the area, known for his books and columns. The Scruffy Citizen surveys the city of Knoxville's life and culture in the context of its history, with emphasis on what makes it unique and how its past continues to affect and inform its future.